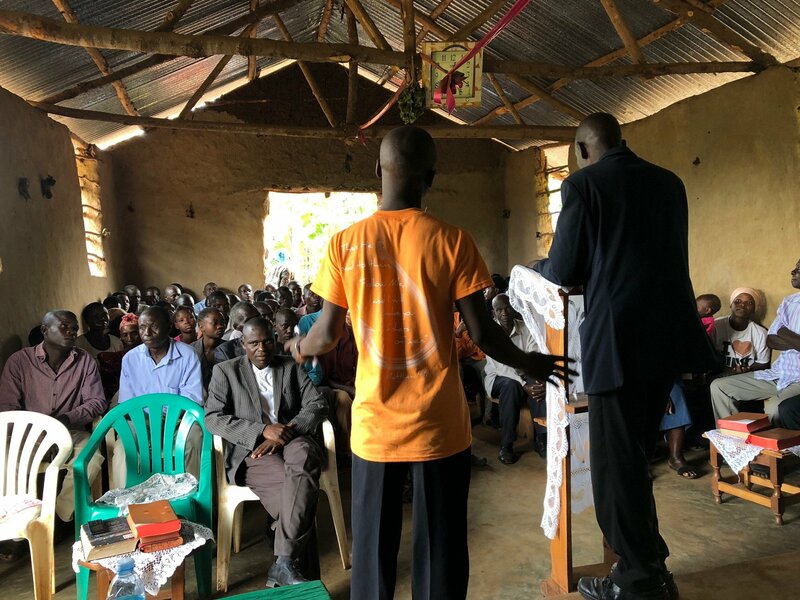 One of my favorite stories from The Bucket Ministry happened during a trip to Uganda. The team that went had the opportunity to go to a church service, during which an offering was taken. The offering plates were placed at the front of the stage and most people came to the front to give. But the lady who made the most impact on the team gave a single egg, because that’s what she had. Talk about the widow’s mite (coins) (Luke 21:1-4). The members of the team came back saying that although they’ve all given money to a church or ministry, never have they given as much as that one lady. Most people think about giving money, which I will discuss later, but what about giving your time? Your Saturdays? Your learned skills and experiences? There are many ways to serve God, and there are many ways to be involved in a ministry. One of those ways is by giving your time. If you’re bored and don’t have enough to do, volunteer! Give up your Saturdays once a month to go work at a ministry in your church. Do you have a unique skill you’d like to use? God can use it. Ask Him to direct you to the right ministry that will bring Him glory. Just get out there and serve others in whatever way you are able. Whether it’s stuffing mail into envelopes or helping ministries write and apply for grants, each job is equally important. If you have a particular skill you think TBM would benefit from or have an interest in volunteering, please let us know! We’d love to see how you can get involved. Perhaps you’re not in the right season to give your time. Instead, your role in ministry right now might be to give financially. Maybe you have never experienced the joy of giving or you might be a seasoned veteran. Either way, giving financially, no matter the amount, is just as important as giving your time. It gives ministries the opportunity and resources to continually move forward in their missions. I strongly encourage you to give. Whether it’s giving your time or giving financially to a ministry or church, please pray about it and give what God is asking of you. To give financially to TBM, please visit www.thebucketministry.org and click on support.